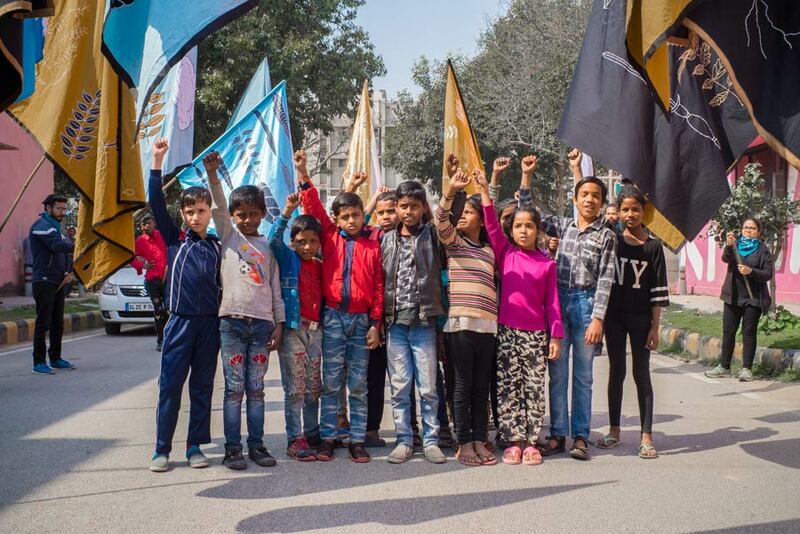 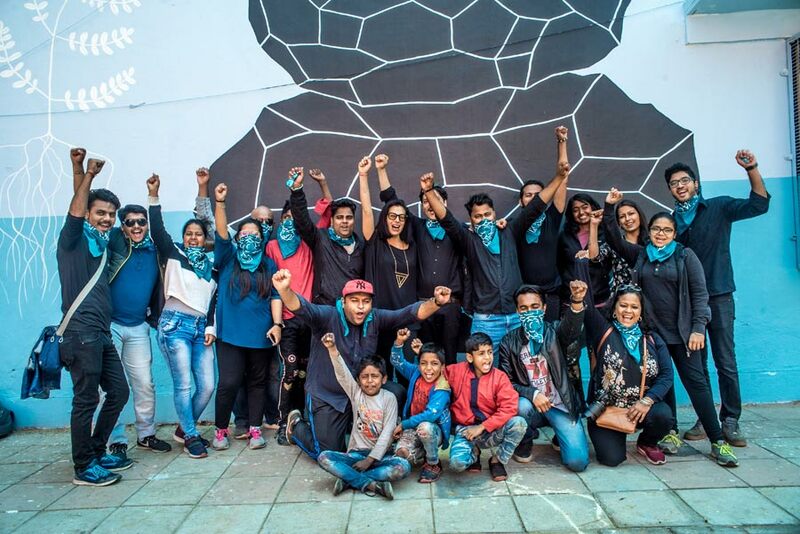 “ANDRECO painted the air pollution with the air pollution itself,” say organizers in the 20 million strong New Delhi – which was declared the world’s most polluted capital, according to Reuters this month. 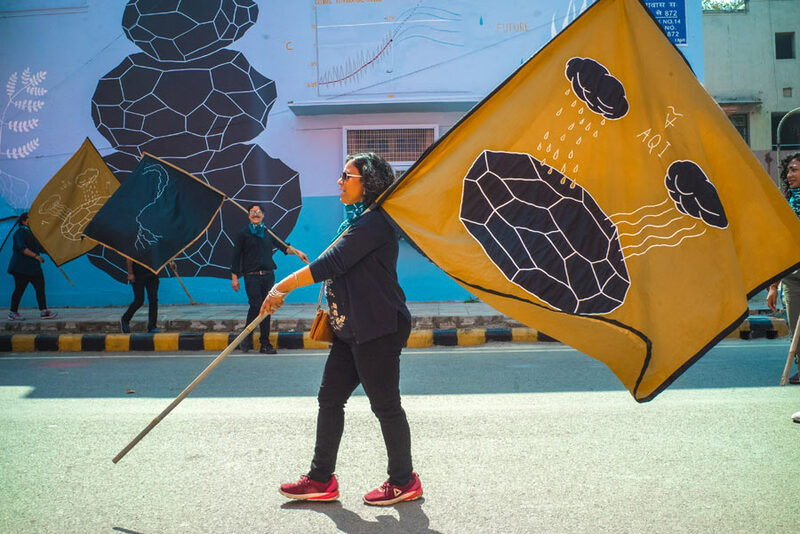 And the statement isn’t hyperbole, according to AIR-Ink, the company that made his ink, which is “the first ink made entirely out of air pollution,” they explain on their website. 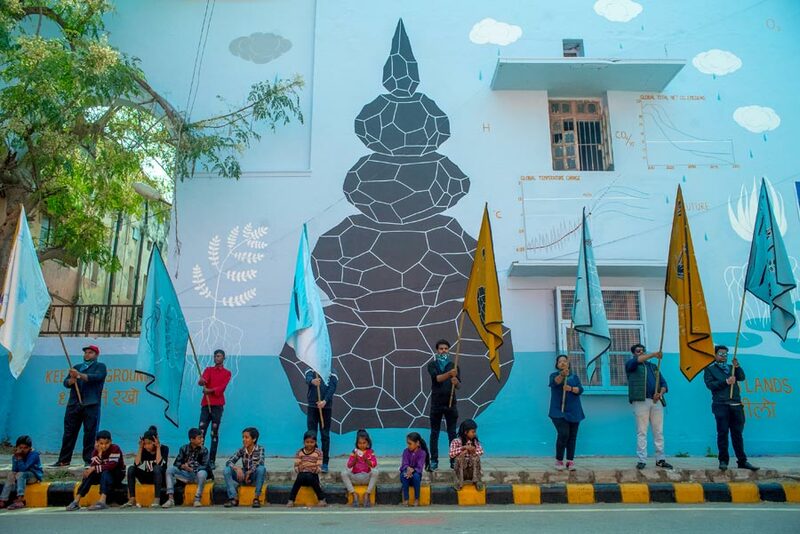 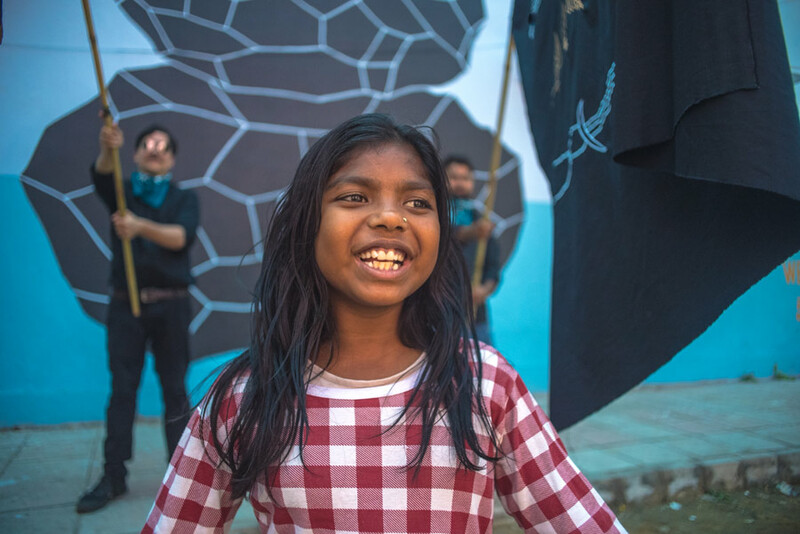 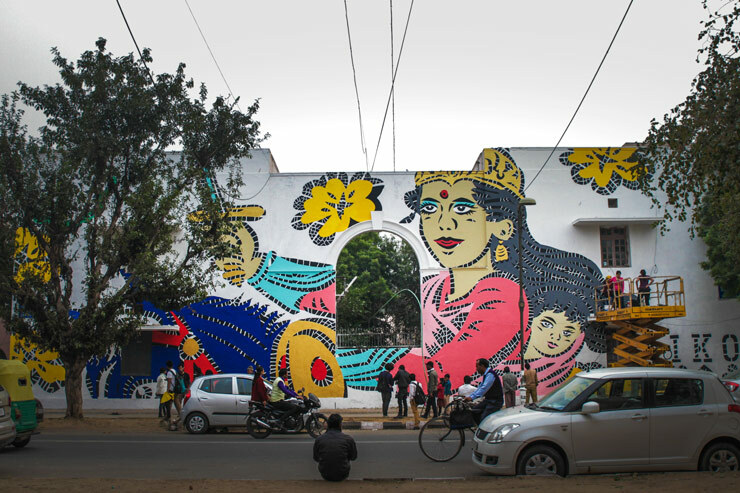 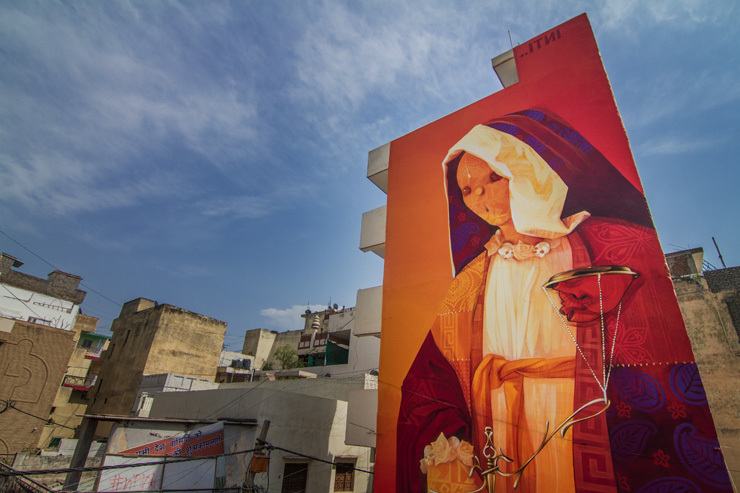 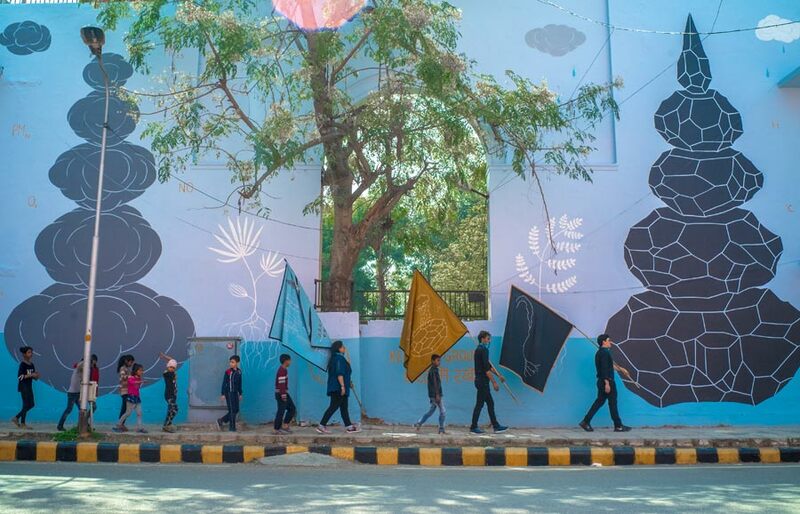 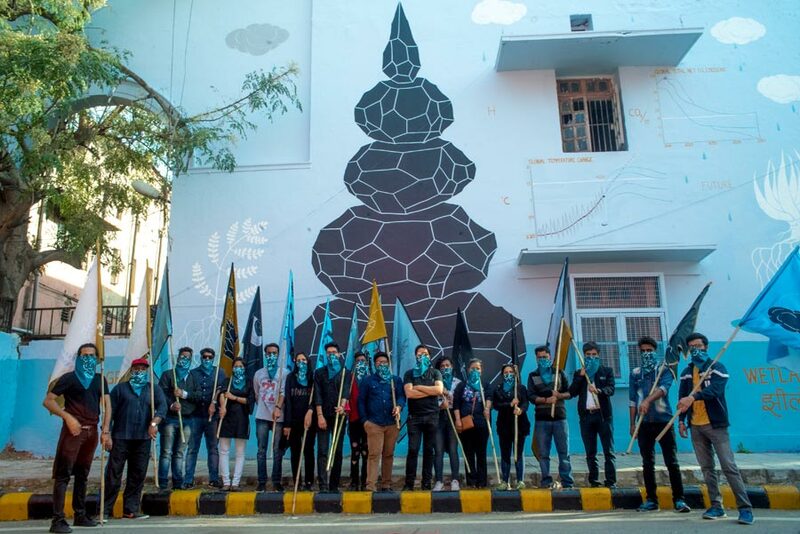 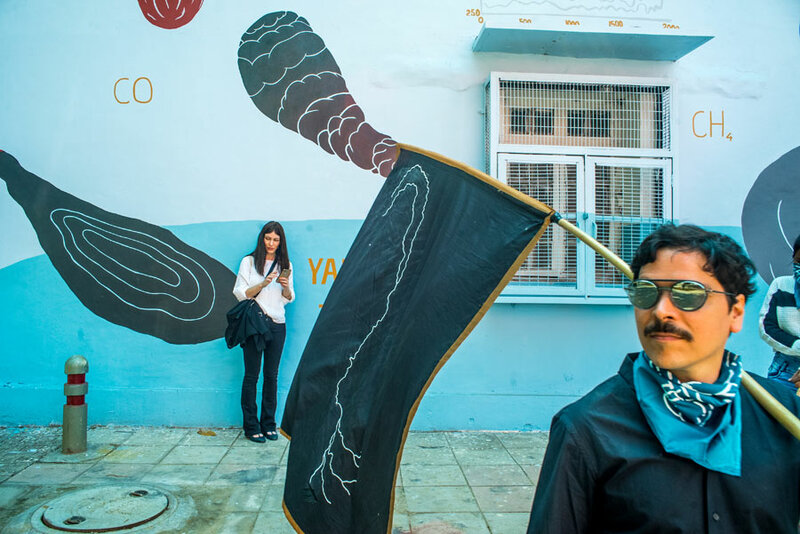 The unique art-making material is part of the Italian Street Artist / Activist’s most recent installment of his Climate ArtProject, which he orchestrated on the streets here in New Delhi for the St+Art Festival this year. 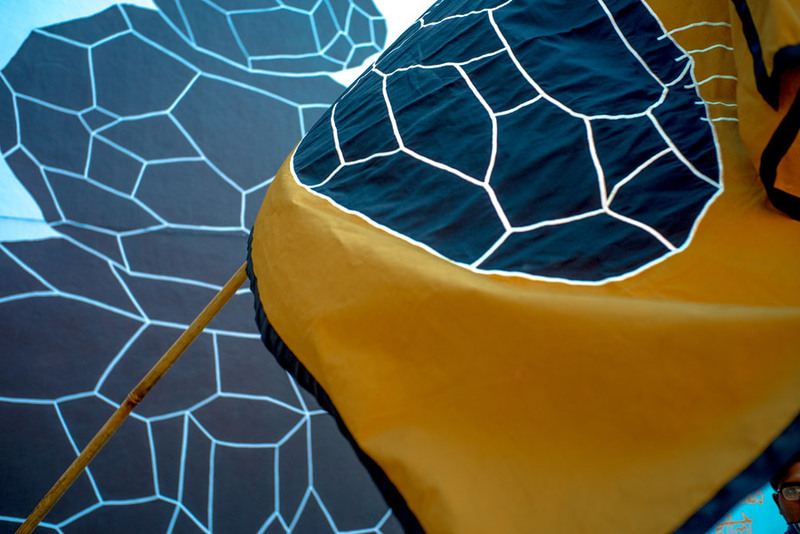 Part of a global, multi-city installation and demonstration, “Climate 05 – Reclaiming Air and Water”. 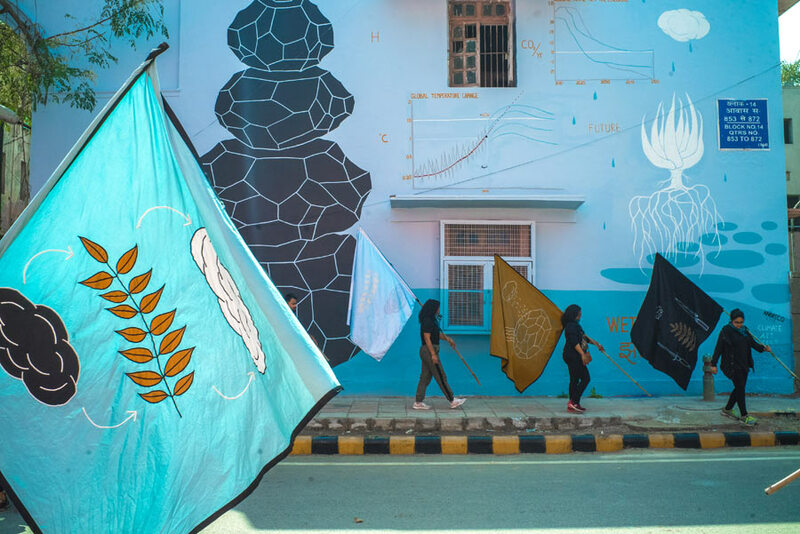 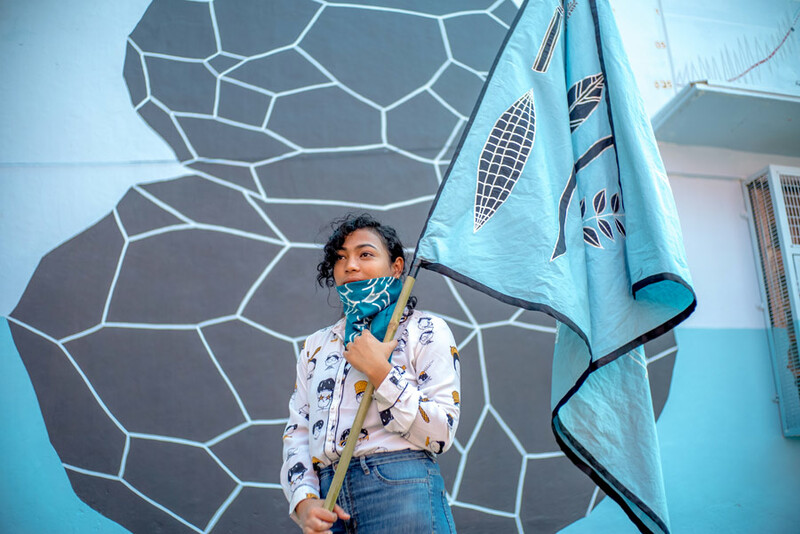 The mural, people’s march and public talks are a hybrid of activism, art and science, ANDRECO tells us. 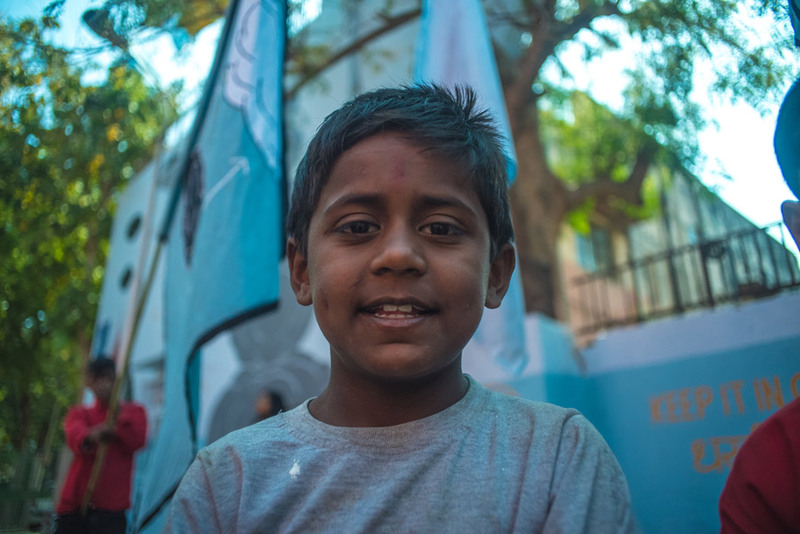 His goal is for residents in Delhi to focus on the consequences of the climatic changes and the air water pollution in their city. 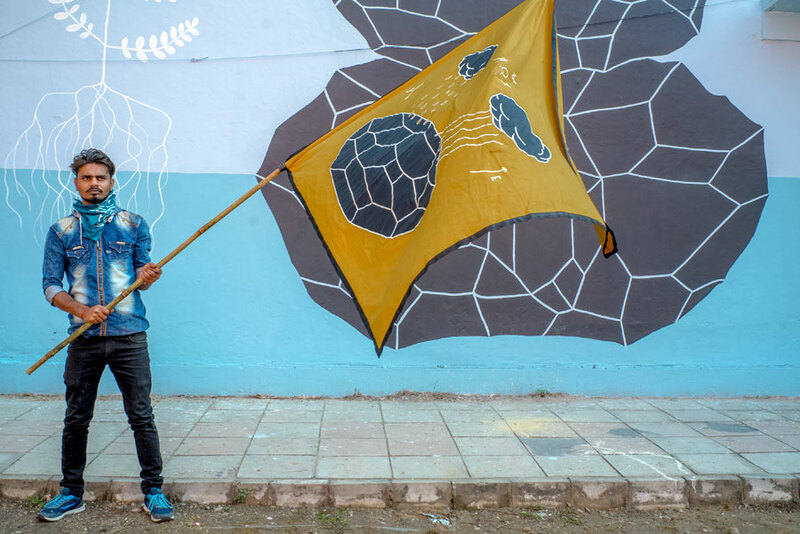 We have published previous editions of this project and it is always good to see the images of people participating in the demonstration and march with flags, a physical commitment to the expressed goals of standing in solidarity with Mother Earth, her natural systems, and our responsibility to preserve them.